Deckard Heating & Air Conditioning is proud to serve the Waxhaw community! About Waxhaw, NC - Happy to be your hometown Heating & Air Conditioning Contractor! 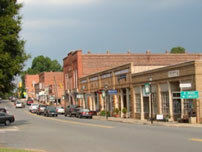 Waxhaw is a North Carolina town found in Union County, and as of 2010, the population was quickly approaching 10,000. Located in the state’s Piedmont region, Waxhaw is known for its rolling hills and wooded areas. Waxhaw is situated about 22 miles from Charlotte and is located just north of the South Carolina state line. 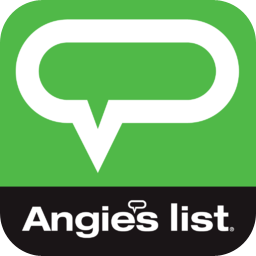 The community was originally known as Wysacky, and while it was developed into a manufacturing hub with textile and cotton mill factories, it is now known as a fine dining and antique center within the state. Although Waxhaw is a relatively small community, there are some notable attractions located here. The Museum of the Waxhaws provides information about the region’s history while also serving as a memorial to Andrew Jackson. Outdoor activities can be enjoyed at the Union County Cane Creek Park, as boating and mountain biking are popular here. Other popular attractions in the area include the Museum of the Alphabet, which studies different writing systems, Whippoorwillhill Weddings, and the Charlotte Rifle and Pistol Club. Equestrianism and riding are also very important to the Waxhaw way of life. There are numerous locations in this community that are dedicated toward providing riding lessons. Thunderbay Academy Horseback Riding Lessons, the Providence Equestrian Center, and Double R Stables are just a few of these facilities in the area. Located within a humid subtropical climate zone, Waxhaw residents enjoy four seasons throughout the year that feature distinctive weather conditions. Spring and fall months are usually comfortable, and summers are hot and muggy with average temperatures in the 90s. These humid conditions can be quite uncomfortable, and homeowners rely on their cooling system to get them through the steamy months. On the other hand, winters are cool and experience some snow fall, so Waxhaw residents will also need a furnace or heat pump to keep their living quarters comfortable while also preventing pipes from freezing.